Every governor of Lagos State is ultimately defined by how he handles three issues-security, waste disposal and traffic management. One of these, refuse supervision became a glaring sore point of the outgoing administration of Governor Akinwunmi Ambode. There are arguments in support and against his attempt to introduce Visionscape, an integrated waste management company to take over the better part of the functions of the Lagos Waste Management Agency (LAWMA). At the end of the day, certain interest groups made sure that the Visionscape gambit was viewed as skewed. Ambode had his fingers burnt and Visionscape went down as a fiasco. The same, however, cannot be said of Ambode’s shot at revamping public transportation in Lagos. The emergence of ultra-modern bus terminals in Lagos, which will go a long way in impacting on the attitude of investors and workers in the commercial transport sector is a major highlight that Ambode will be remembered for. Incidentally, the governor may not be around to witness the inauguration of the major hub of this project at Oshodi. At every turn, it looks like Ambode’s cardinal sin was going against the interest of powerful shapers of opinion in Lagos. Not necessarily that he did anything wrong against the larger interest of the people of Lagos State. Indeed the governor started well with is ‘Light Up Lagos’ campaign, which illuminated major parts of the metropolis at night, thereby discouraging criminal activities and attempted to provoke a 24-hour economy in Lagos. He also generated more internal revenue and expanded the scope of the annual leisure programme, Lagos Fiesta to cover the five divisions of the state. For the first time, Epe division was given foremost facelift that impacted positively on the economy on an otherwise sleepy and rural part of the state. When it became clear that his party, All Progressives Congress (APC) was not supporting him for a second tenure, how he handled the matter turned out to be what could obliterate or perpetuate his legacy. All eyes were on Ambode. He did not only privately and publicly demonstrate very rare courage but has truly moved on by accepting the outcome of the governorship primaries of the APC which threw up Mr. Babajide Sanwo-Olu, who is now the Governor-elect of the state. At a time when many expected him to behave like a bull in a China shop, destroying every good thing, Ambode made an unusual sacrifice by considering the greater good above his personal gain. Instead he behaved like a lamb to the slaughter, completely helpless and unable to save himself from those who were too powerful for him. 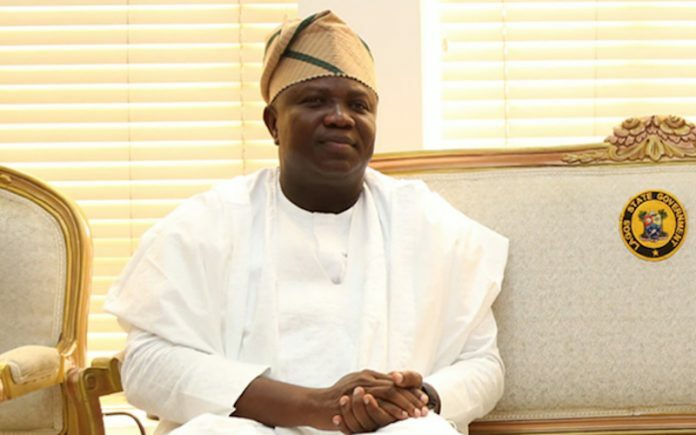 In the build up to the governorship primaries in October last year, there were intense political activities which hitherto created palpable tension in the state but immediately after the said primaries and twists that followed, Ambode in a statewide broadcast congratulated Sanwo-Olu and pledged to work for the victory of the party, a shrewd sacrifice that drastically brought down the tension in the political firmament of the state. The governor led by example as he commenced another move to galvanise all the critical stakeholders in the party to ensure that the Peoples Democratic Party (PDP) did not take advantage of the fallout in the primaries to clinch power in the state. During the first weekly Exco meeting after the primaries, Ambode had specifically told cabinet members to forgive and forget the past, and team up with the candidate of the party to ensure victory, which would in turn, according to him, foster the consolidation of the massive gains recorded in the last four years. While also walking the talk, Governor Ambode immediately ordered that his campaign structure, Ambode Mandate Support Group (AMSG), be collapsed into the Sanwo-Olu Campaign Council which later transformed into Independent Support Group (ICG) to work for the victory of all APC candidates in the state, as well as the re-election of President Muhammadu Buhari and Vice President, Professor Yemi Osinbajo. From the political front, several other moves were initiated to ensure victory for APC across board, including directing his supporters across the 20 Local Government Areas and 37 Local Council Development Areas (LCDAs) to begin grassroots campaign for the APC governorship candidate, while preaching message of forgiveness and unity. Speaking to journalists at the Presidential Wing of the Murtala Muhammed International Airport shortly after he accompanied President Buhari to perform the official commissioning of the new Economic Community of West African States (ECOWAS) Border Posts at Seme-Krake joint border post in Badagry, Ambode publicly assured all that he would lead a strong campaign to ensure victory for the President and Sanwo-Olu. At another event during the unveiling of an ultra-modern lecture theater donated to the Lagos State University (LASU) by businessman and philanthropist, Chief Remi Makanjuola, on November 22, 2018, Ambode assured, in the presence of the APC candidate, that Sanwo-Olu would not abandon ongoing projects in the state but would rather complete and build on the enduring legacies already put in place by his administration. Aside hosting Sanwo-Olu and his deputy, Dr. Obafemi Hamzat, on a number of occasions at Lagos House together with members of the Governor’s Advisory Council (GAC), and visiting some markets in Lagos with the Vice President to launch the TraderMoni initiative, Governor Ambode also continued with his message of assurance to Lagosians that the APC government remains the best option in 2019. This assurance was restated by the Governor during the presentation of cheques to over 2,000 beneficiaries of the loan programme of the Lagos State Employment Trust Fund (LSETF) held at LTV Blue Roof, Agidingbi, Ikeja, on November 26, 2018; and during the 12th Annual Town Hall on Security organised by the Lagos State Security Trust Fund on November 28, 2018, at Civic Centre, Ozumba Mbadiwe Avenue, Victoria Island, Lagos. Yet on Tuesday, December 4, 2018, in Abuja during the National Consultative Forum of the National Committee of Buhari Support Groups, a coordinating body of all the groups campaigning for the re-election of President Muhammadu Buhari and Vice President Osinbajo in 2019, Ambode vigorously campaigned for the party’s presidential and governorship candidates. At another meeting in Epe few days after, held at the instance of the governor with APC leaders from the division comprising Epe Local Government, Eredo Local Council Development Area (LCDA), Ikosi-Ejirin LCDA and the entire Lagos East Senatorial District, the governor continued his message of unity and specifically urged voters in the division to vote massively for the APC at all levels. Also, as a member of the National Peace and Reconciliation Committee set up by the APC to pacify aspirants and members aggrieved with the outcome of the primaries conducted by the party to elect candidates for 2019 general elections, Ambode was visibly involved in trying to pacify aggrieved members of the party in the South West region to queue behind Buhari and Osinbajo, as well as all the candidates of the party. Also, at a stakeholders’ meeting of APC held at the state secretariat of the party on Acme Road in Ogba on December 17, 2018, Ambode further demonstrated his acceptance of the party’s position with regards to emergence of the governorship candidate when he officially endorsed Sanwo-Olu and Hamzat by raising their hands before scores of party leaders and faithful and wished them well in the general elections. Interestingly, however, the Governor’s sacrifice and efforts to unite the party had not gone unnoticed. In fact he has earned accolades from within and outside the state. Chairman, APC National Peace and Reconciliation Committee for South West, Governor Kashim Shettima of Borno State, described Ambode as the politician of the year for displaying uncommon courage and spirit after the party’s primaries in Lagos. Another member of the Committee, Senator Sa’ida Sa’ad Bugaje, said Ambode’s actions after the primaries had resonated beyond the state as a learning curve in leadership and sportsmanship for future leaders. 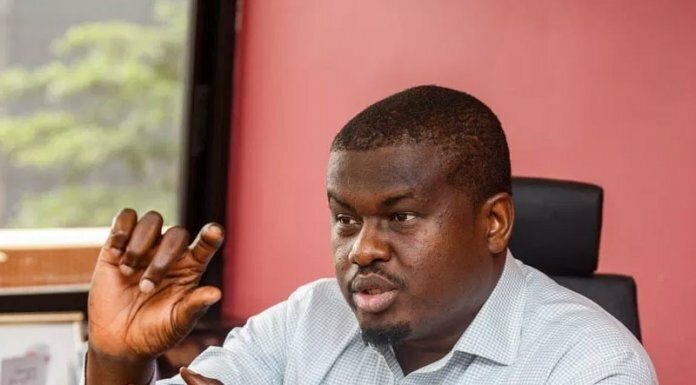 Also, Deputy Governorship candidate of APC for Lagos State, Hamzat, said Ambode deserved commendations for displaying unusual maturity and character which eloquently confirmed him as a man with large heart. Even the Presidency noticed the sacrifice made by the governor for the unity of the party, with President Muhammadu Buhari commending Ambode for his rare loyalty to the party. The activities of the governor, however, paid off during the presidential election, with President Buhari winning the state. The president, according to result announced by the Independent National Electoral Commission (INEC), polled 580, 825 votes to beat his closest rival in the race, who polled 448, 015, culminating in a win margin of 132, 810 votes. Still not satisfied with the margin of victory for APC at the presidential election in the state, Governor Ambode, again, moved to town especially with Sanwo-Olu and Hamzat, canvassing for votes in the stronghold of the opposition. This also turned out positive for the APC, as the party won the governorship election with a wide margin. In the final result, Sanwo-Olu scored 739, 445 votes, while Jimi Agbaje of the PDP polled 206, 141 votes. The APC also won all the 40 seats in the state house of assembly. Before the elections, APC National Leader, Asiwaju Bola Ahmed Tinubu, who is believed to be the brain behind the denial of Governor Ambode’s second term, had publicly commended the courage of the governor and others in accepting the outcome of the primaries of the party. Speaking on December 17, 2018 at a stakeholders’ meeting held at the State Secretariat of the party on Acme Road in Ogba, Tinubu said Ambode, his deputy, Dr. Idiat Adebule, and all the leaders and members of the party had done commendably well in respecting the supremacy of the party.